Note to Nurse Practitioners: Nurse practitioners can apply for AMA PRA Category 1 CreditTMthrough the American Academy of Nurse Practitioners (AANP). AANP will accept AMA PRA Category 1 Credit(s)TM from organizations accredited by the Accreditation Council for Continuing Medical Education. Nurse practitioners can also apply for credit through their state boards. 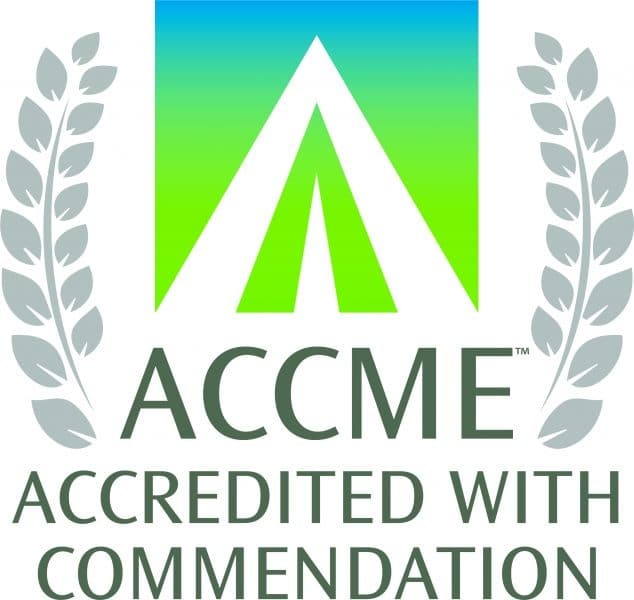 Successful completion of this CME activity, which includes participation in the evaluation component, enables the participant to earn up to 1.5 MOC points in the American Board of Internal Medicine’s (ABIM) Maintenance of Certification (MOC) program. Participants will earn MOC points equivalent to the amount of CME credits claimed for the activity. It is the CME activity provider’s responsibility to submit participant completion information to ACCME for the purpose of granting ABIM MOC credit.